There is a good chance that in doing this you will strip away some of the unnecessary, burdensome policies, procedures and systems. This will simplify your approach and make it more effective too! Too often in business we focus our attention on the results rather than on creating an environment which enables the results be acheived. For sustainable success we need to focus as much of our attention on enablers as on results [a key concept behind the EFQM Excellence Model]. To improve your bottom line, you need to focus on giving excellent customer service. It’s good business, it doesn’t need to be complicated and often is easier to do than what you do now. So, get your approach right, get the right people on board, give them the best tools and let them get on with it – the profits will follow. 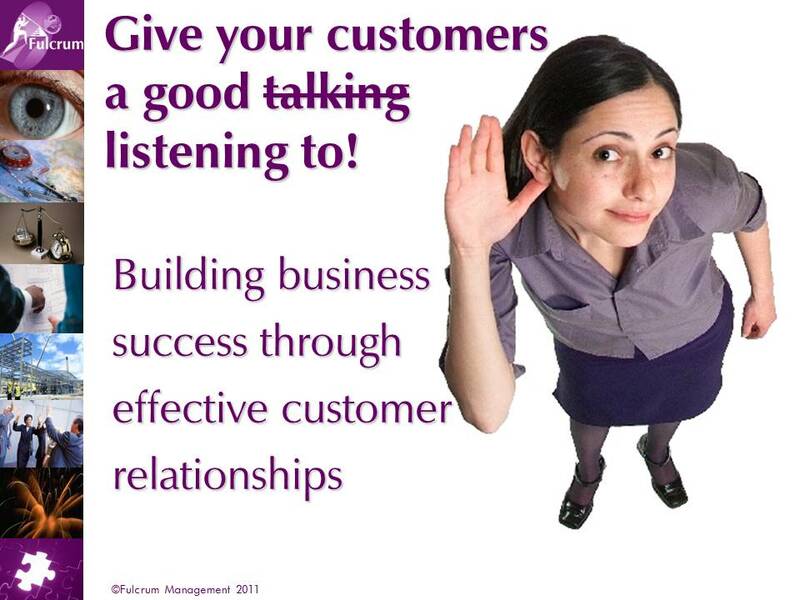 You can take the first step by giving your customers a good listening to! If you don’t know what they think is important, how are you going to give them the experience they deserve?